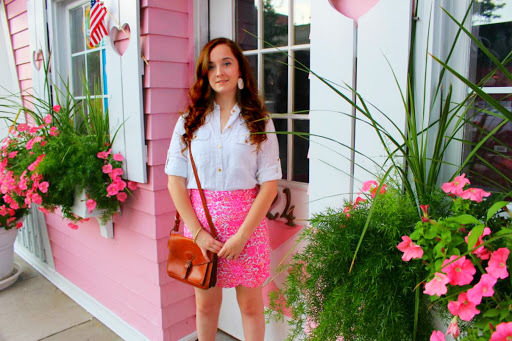 Recently my husband and I found the cutest pink storefront a few towns over from us, and I simply couldn’t resist taking a few photos in front of it! I use products from the Dry Bar to maintain my curls all day long! These Petunias were so pink and vibrant! I was not at all prepared for this photo, but it’s the only one in which you can see my lovely Kendra Scott Elle Earrings in Ivory Pearl! All photos are my own, do not use them without my express written permission. All opinions are my own. Thank you for reading! Post – After Party Sale FAQ! Vineyard Vines & Lilly Pulitzer Haul! You should do one on your favorite Lilly prints and outfits ? Super cute! For the photos of yourself, do you set the camera up or does someone take the photo for you? Maybe a blog post on how to take the best OOTD photos! Such a cute skirt and I love you KJP bracelet! Congrats on your blog and I can’t wait for more! Wow just checked out your photography album and love your style! These are especially cute and love all the pink! ??? 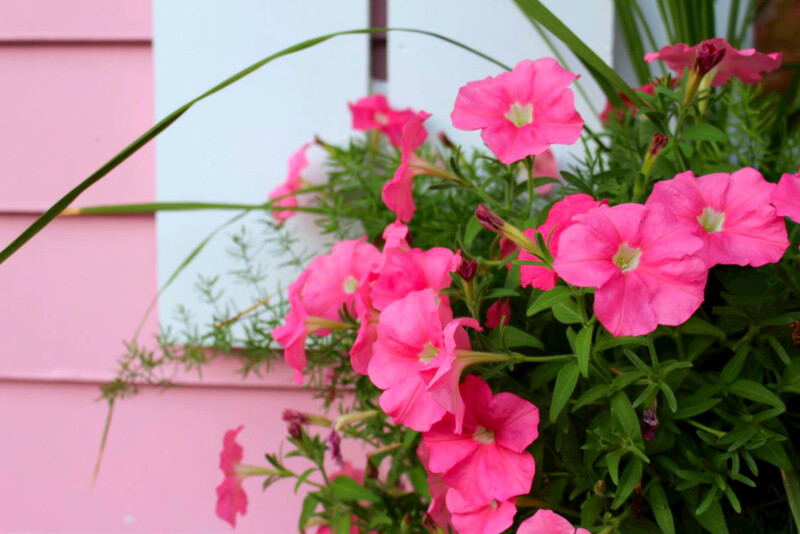 Who doesn’t love pink?! 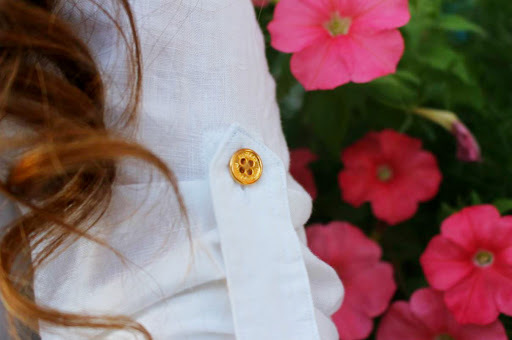 I love that you and your blog are full of cheery goodness!